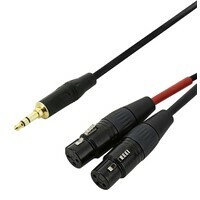 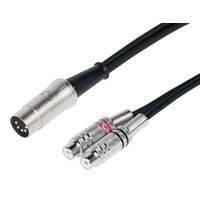 This cable will take the stereo (left and right) audio signal from a standard 5pin DIN connection and split to dual RCA connectors. 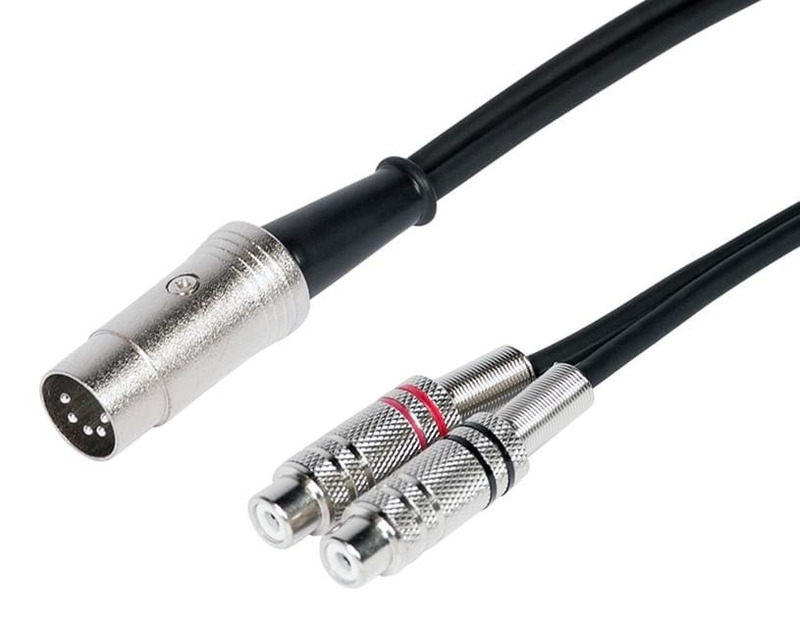 This cable will take the stereo (left and right) audio signal from a standard 5pin DIN connection and split to dual RCA connectors. 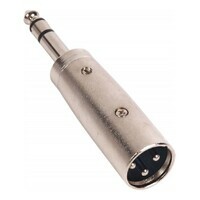 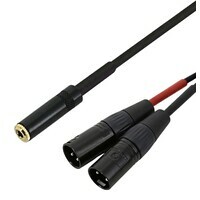 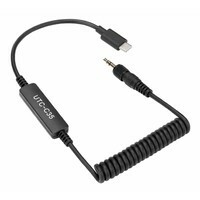 Suitable for connecting an audio output with 5 or 7pin DIN connectors to any analogue device such as a mixing desk, amplifier, CD player, DVD and turntables. 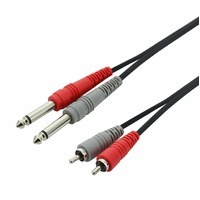 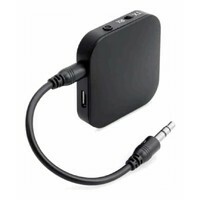 Suitable for items such as Bang & Olufsen, Naim, Quad or other types of European style hi-fi stereo systems, where the analogue audio signal needs to be taken from a 5pin DIN connector.